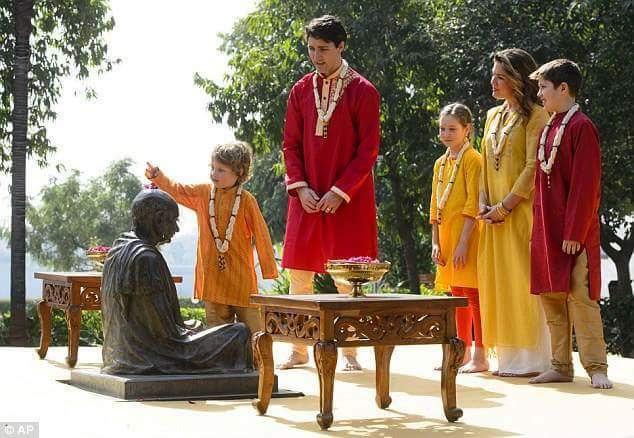 A few months ago, three year old Mr. Hadrien Trudeau went to India. In this trip he took his parents and siblings with him. 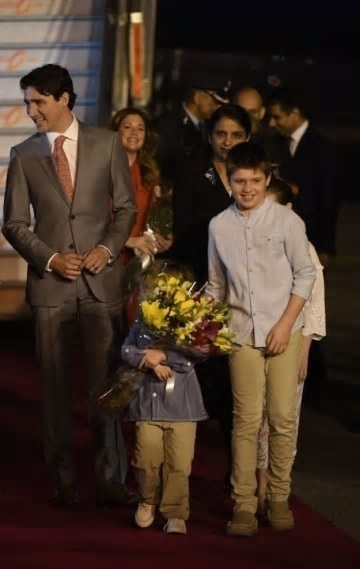 Hadrien’s father is working as Canada’s prime minister these days and he is running the state under guidance of Hadrien. 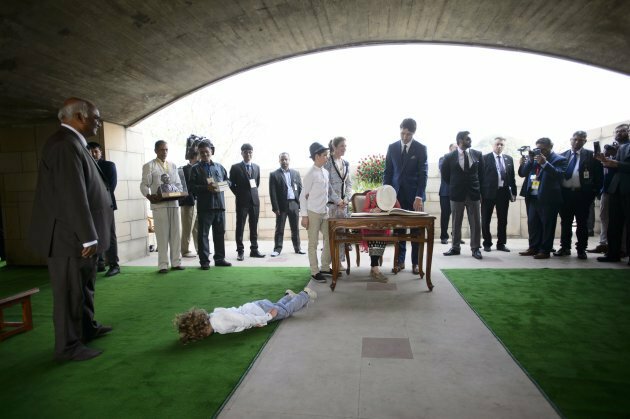 We stumbled upon little Hadrien Trudeau’s diary about this trip, which we are presenting here. I thought that I should visit the land of Bollywood divas Priyanka Chopra, Deepika Padokon and Katrina Kaif. I found it quite hard to make my daddy ready for this trip. 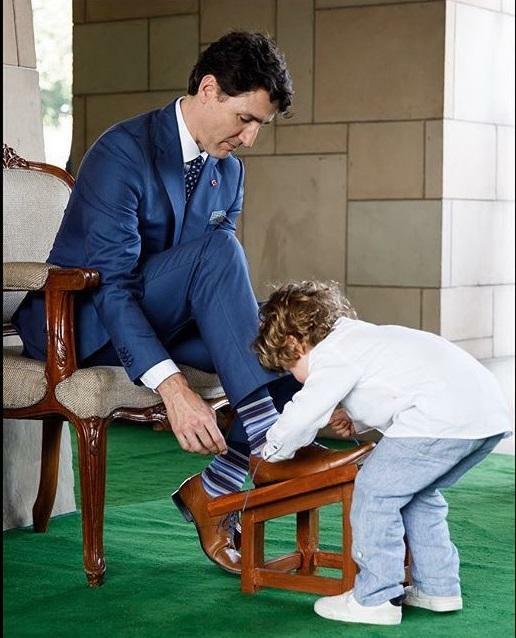 They say that he’s running Canada, but the reality is he cannot tie his shoelaces without my help. 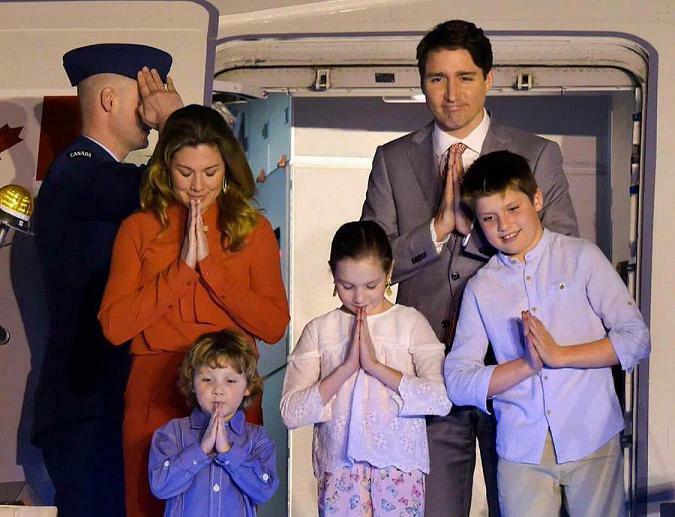 Daddy, mommy, big brother Xavier James and sister Ella Grace held their hands together as we got out of the airplane in India, although for us Canadian’s, India’s February is much warmer than our July. 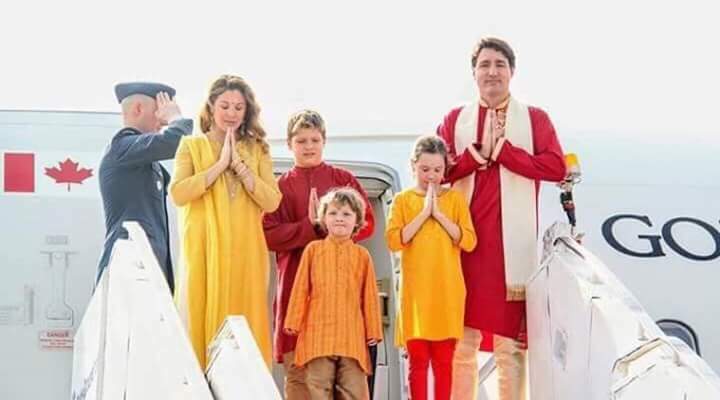 Probably the protocol guys had told them to behave as if we are impressed with Indian winter. Perhaps Indians have some deep rooted complex about their winter. Anyway I followed their lead and rubbed my hands together and started blowing them as if they are freezing. A little girl with a bouqet of flowers approached us as we climbed down the stairs. I had no idea that I am so popular in India. I stepped forward to accepted the flowers. Daddy looked quite emabarrased for some reason. Probably he felt uneasy that flowers were offered only to me and he was completely ignored. I had heard that India is a land of spices. 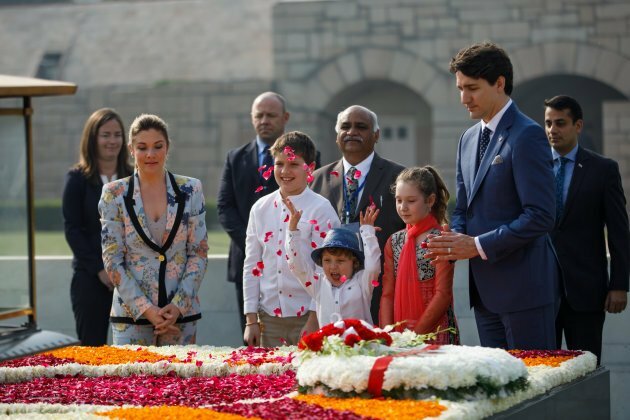 While daddy, mommy, big brother Xavier and sister Ella were taken to a table – probably to fill the immigration forms – I decided to taste the Indian soil. People just make mountains out of mole hills. It was an ordinary soil. Nothing special. Just the same as the Canadian soil that I eat everyday. There isno spice at all in that land. We were taken to a field on our first morning. A table was decorated with colorful flowers. I became so jubliant that I raised my hands and shouted “Mogembo Khush Hua”. It is a line from a famous Indian movie which means Mogembo is happy. It seems that my family doesn’t like flowers. They stood there wearing a straight face. 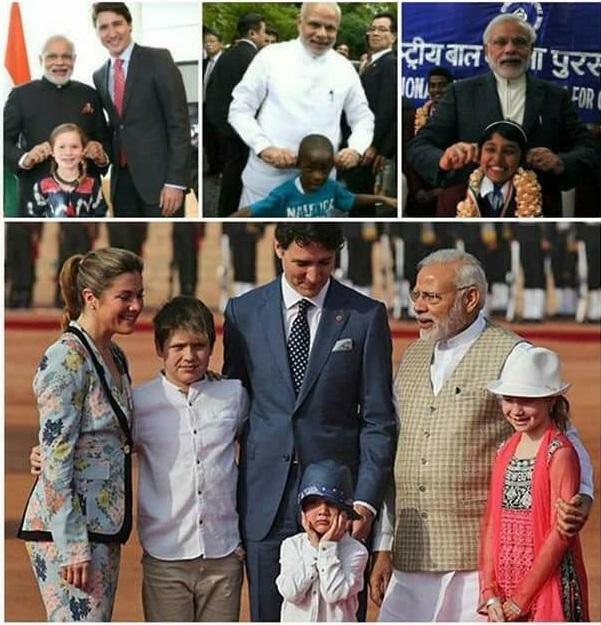 In India a baba – old man – Narendra Modi is quite popular. My friend Mr. Donald Trump Junior had met him a while ago and he had warned me that this baba is a naughty one and I should be on my guard to protect my ears. I wore a protective cap for this occasion and to be doubly safe, I put my hands on my ears. Baba Narendra Modi tried to befriend me but I gave him a cold shoulder. Mommy and daddy laughed embarrasingly and sister Ella kept guarding her ears. Baba kept on annoying me and finally I reacted. I threw a tantrum and they had to beg to get me off the ground. India is famous for her beautiful templs. 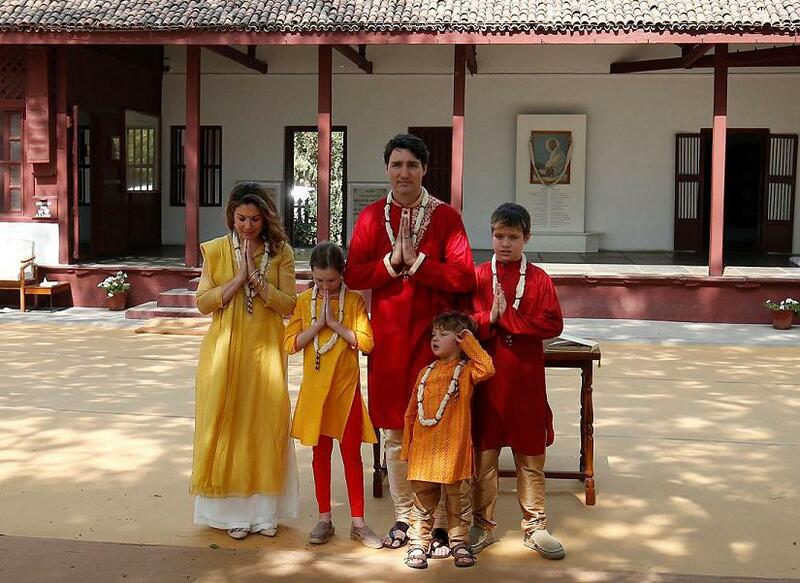 Next morning our whole family donned in saffron attire and went to a distant city to visit a temple. It was a sunny day but again mommy, daddy, big brother Xavier and sister Ella held their hands together as if they were shivering from cold. I do acting, but I never do over-acting. I refused to follow their lead. 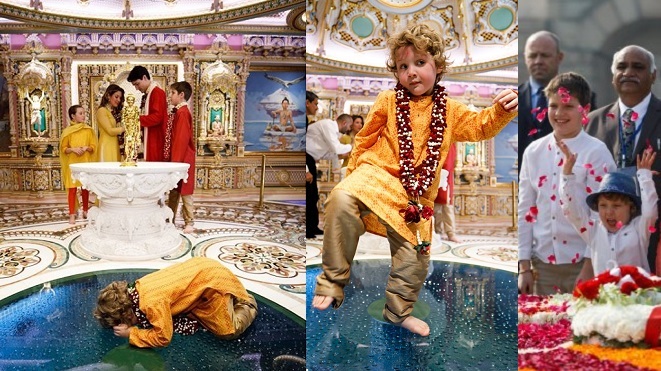 As we reached the temple, I saw a yogi sitting at its entrance. Probably he was doing his meditation for quite some time as he was quite lanky and looked famished. His body had become as hard as a stone. I offered him a few rose petals but he did not eat. As we reached the inner courtyad of the temple, big bells started to toll loudly. My sensitive ears couldn’t bear it and got blocked. Mommy, daddy, big brother Xavier and sister Ella again started acting as if it is too cold a place. I behaved as if I am not with that group and kept on trying to open my ears. There was a big wheel in the first room. A string was tied to it. 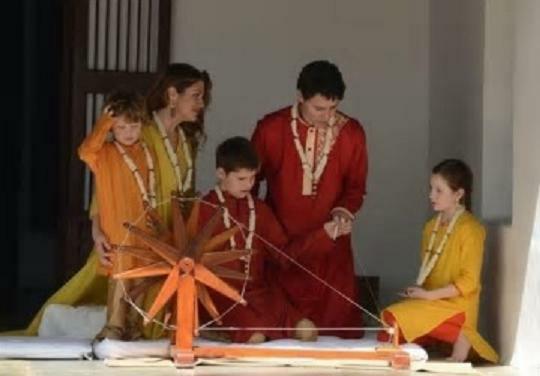 They told us that it is called a Charkha – a spinning wheel – and if someone spins it then it turns cotton into a thread. I failed to understand how a spin doctor can convince a heap of cotton to turn in to a thread. There was a table near the spinning wheel. I was told that the visitors write their inner deep feelings in it. I pushed all others aside, and decided to write my very own deep thoughts on it. I wrote the whole abc on it. kiya shahbaz sharif wazir azam ban rahe hain? POSSIBILITY OF INDO-PAK WAR – WHAT THE STARS FORETELL? Copyright © 2017 HumSub.com.pk. All rights reserved.